Kleinburg Diaries: Our Baby Girl arrived! I know I have been away for a while, that's because our little princess arrived! 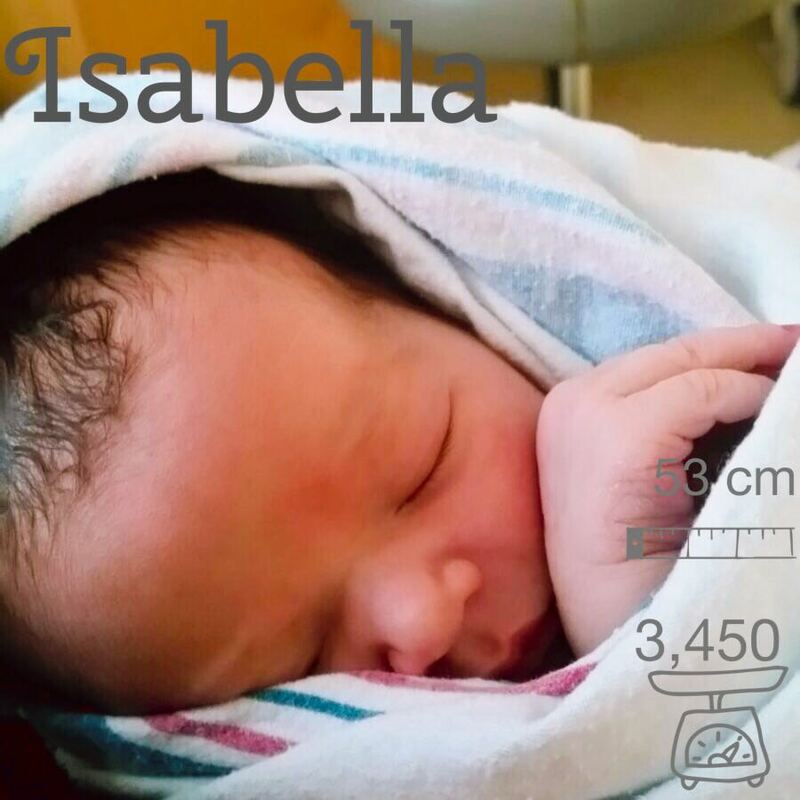 Isabella (ou Bella) was born on May 29th after a long labour. It was wonderful having baby Bella on my arms, it was love at first sight. My husband and my sister (Isabella's Godmother) stayed with us the whole time going above and beyond to help and comfort us during labour and delivery. The beginning of our life as a new family was full of love, challenges and learning - discovering each other each day. Grandma flew in to help us and spent the first month with us - sweet moments! We are really blessed to have this little bundle of joy. 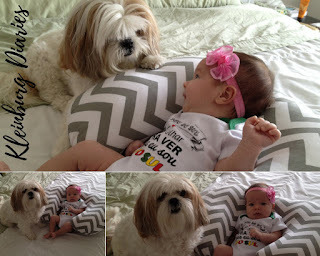 She is a calm and sweet baby (really cute!!!!!). I received a lot of questions regarding Kiara's reaction towards the new member of the family. 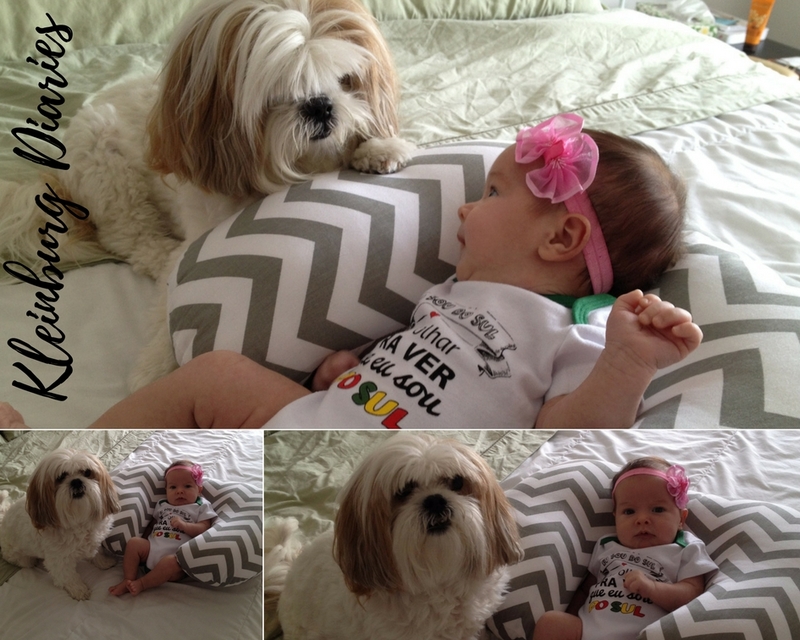 The first time they met was so peaceful - Kiki was so curious when we got home with the baby. She "investigated" and we explained to her that her little sister had finally arrived. During this time we were petting her and reinforcing the good behaviour. Since then, Kiara has been around checking on her little sis all the time. They are adorable together. I am truly thankful to our family and friends for all the love and support during this time and specially to my sister and my mom for everything they've been through with us.